Thomas Reddy is a special counsel in the Corporate Practice Group in the firm's San Francisco office. Mr. Reddy focuses on banking, financing transactions, securities and related areas of commercial law. Prior to private practice, he served as general counsel of a major savings association. Because of the breadth of his practice, he provides a full range of legal services to banks and other public and private companies. A significant part of his practice is mergers and acquisitions of both public and privately held companies, usually in regulated businesses such as banking and insurance. Mr. Reddy has had primary responsibility for more than 20 financial institutions mergers, acquisitions and changes of control in Northern California in recent years. These have included stock-for-stock mergers, cash acquisitions or investments, and combination cash-and-stock mergers. A related area is capital formation; his experience includes both underwritten and best-efforts registered public offerings. Mr. Reddy also specializes in bank regulatory work, which includes acquisition and control issues, holding company issues, non-banking activities, Regulation O and other affiliate transactions, conflict of interest, consumer lending, digital currencies and enforcement proceedings. 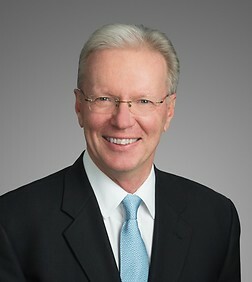 He also counsels clients on compliance with securities laws and can review or prepare reports and statements under the 1933 and 1934 securities acts and works in all areas of financing, including syndicated commercial loans, secured and unsecured commercial lending, consumer credit, public finance, and real estate financing.